More than 50% of Americans drink coffee on a regular basis. Coffee is often considered the best way to wake up and may even take the place of breakfast for some. However, the caffeinated drink can also drastically increase your daily calorie intake and ruin your health, if you’re not careful. Coffee itself is almost calorie-free, but the additions that people enjoy can boost the calorie count quite a bit. 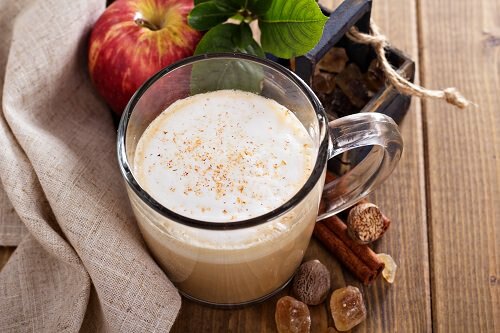 A flavored latte is around 300 calories, while a white chocolate mocha can add 400 calories to your daily intake. Fortunately, it’s possible to reduce the calories in your morning cup of joe. Here’s how you can do it. If you’re used to drinking your frappuchino with whole milk, try switching to something lighter to cut calories from your morning coffee. Switching from whole milk to nonfat will save you 65 calories per cup. Almond milk ranges from 30-60 calories per cup, making it an even lighter choice than cow’s milk. Soy or rice milk is a great choice as well.